I preached this sermon on June 3, 2012 at Grace UMC. The text was John 3:1-17. I think that’s what Jesus was dealing with when Nicodemus came to him. Because Nicodemus was walking in darkness, he was having trouble making sense of all the facts he was taking in. He was a respected Pharisee, a leader of the Jews. God was on his side. Yet, Jesus was critical of Jewish leadership in his day. But Jesus did many signs – that’s John’s way of saying miracles, and that couldn’t happen apart from God. It was a puzzle and the pieces didn’t match Nicodemus’ mental map. And so he came to Jesus about the thing that he was having trouble making sense of. [say with indignation] Now, Nicodemus didn’t do it in the daylight at the synagogue in front of his peers. No, he came in the night, the text says. Here the author gives us a clue about Nicodemus’ blinders. Throughout John’s gospel, “night” and darkness constantly surrounds those who cannot see what God is doing in their midst. And so, when Jesus responds to Nicodemus, he wasn’t able to hear it. To him, it was like Jesus was just trying to speak louder, [sarcastic tone] as if he hadn’t heard Jesus’s basic message before. I imagine in Nicodemus’ unconscious mind he says to himself without any self-awareness, “Who me? I’ve got to change and be reborn, spiritually? No, that’s not possible, I’m a Pharisee. God’s on my side.” And so, there’s only one possibility left when Nicodemus considers Jesus’ response through his nighttime filter. Somehow to Nicodemus, it seems more likely that Jesus is saying a grown man must enter into his mother’s womb and physically be born again. I tried to find an image of this for the front of the bulletin – it’s amazing what you can find on the Internet. We’ve come so far. But we’re still in the darkness. Most of us might throw in the towel at this point. Let the darkness take over. “Clearly, this numbskull isn’t going to get it. There are more productive ways to spend one’s time than arguing with idiots.” But Jesus shines in the darkness and the darkness did not overcome it. Nicodemus just didn’t seem to get the whole birth analogy thing… So, Jesus comes back to one of the stories of Israel – something that Nicodemus, a leader of the Jews, surely could relate to. Moses. Now, to some, this may seem to be an obscure story, found in an obscure book – Numbers, but the stories of Moses were well known, especially to Nicodemus. Moses was evidence that God was on his side. Moses was Nicodemus’ story. I suspect that’s why Jesus picked it – God has a way of making it clear how our stories intersect with God’s story. And so, Jesus explains who he is and what God is doing with him through what Nicodemus already knows. The Israelites grumble, complain, and regret following God. God smites them with poisonous snakes. Moses petitions on their behalf and God commissions Moses to make a bronze snake. Finally, life came when the Israelites looked up to what God was doing in their very presence. Well, this passage doesn’t tell us. That might seem like a lousy ending to the story, but I didn’t write it. The story ends with Jesus saying in words no fool could mistake, what exactly God was up to. 2,000 years later, John 3:16 is considered by many to be the most foundational verse of the Christian faith. I don’t think that’s a compliment to us, if you catch my drift. That’s how loud and slow Jesus has to get so that we get it. There’s so much noise out there, that God has to cut through, so many blinders to unveil. And I wonder if that’s why this verse has been so successful. Jesus words were constructed to shatter the filter we see the world through and say with simplicity what God is doing in the world. I’m not trying to say that God is calling us a bunch of idiots, but God does seem to be speaking slowly, deliberately to make sure we get it. It is interesting to see people use John 3:16 in exactly the same way Jesus seemed to be using it – to cut through all the noise to communicate that which is most essential. Signs emblazoned with John 3:16 are held up at the Super Bowl, in the background of Tiger Wood’s golf swing, and behind morning news babes on the streets of Manhattan. I have to confess, I’ve grown a little tired of those signs, myself. It’s not fun to be on the receiving end of someone speaking slowly to you, so that you’ll understand. [exasperated, sarcastic] Okay, John 3:16, I get it, who hasn’t heard that yet? When Carter’s “fun day” inquiries crecendoed, I felt the need to teach him a lesson about communication. When Christy came home that evening, I told her the story, the point of which, as I told it, was to let Carter know that saying something louder didn’t help me to understand. “It just gets people upset, Carter.” Saying it louder, slower doesn’t help anyone understand. Until it does. Carter had got his point across. Through the increasing decibel level, eventually, I got the picture. I had to be missing something obvious. “Fun day” couldn’t be some obscure event at school. It had to be something we experienced together. Why else would he be talking to me like I’m an idiot? And so my filter dropped, I stepped out of the darkness, and it clicked. 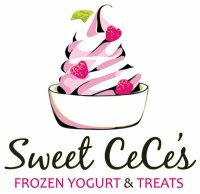 Sweet CeCe’s double punch day. And so we went and the darkness did not overcome us. Jesus’s slow speech actually wasn’t the end of Nicodemus’ story. We don’t hear much more about Nicodemus in the rest of the Bible, but we hear enough. After Jesus was buried, we read in John 19:39, “Nicodemus, who had at first come to Jesus by night, also came [to his grave], bringing a mixture of myrrh and aloes, weighing about a hundred pounds.” Nicodemus was no longer coming to Jesus by night. Something inside him had clicked. The light shined into Nicodemus’ night and the darkness did not overcome it.